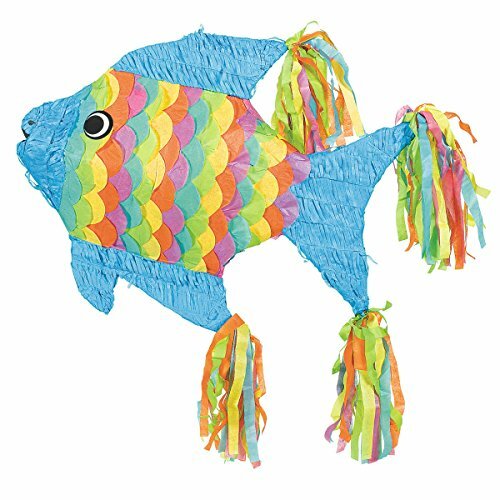 This colorful party pinata measures approximately 21-3/4″ x 6″ x 12″. It features a convenient built-in hang loop at the top and a clear sticker labeled “insert candy here” for easy filling. Holds approximately 2 pounds.